Apparently, Sony has been involved in negotiations with Capital One to offer a special type of credit card. 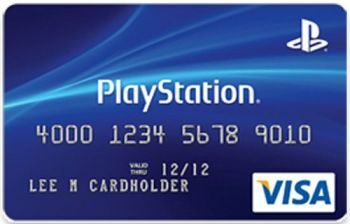 This card, dubbed the “Playstation Credit Card”, would offer cardholders unique rewards for Sony-related purchases. The way the system would work, is that for every non-Sony purchase you make with the card, you’d earn points. However, if you buy something on the Playstation Network, you’d earn 10x the number of points you would have earned otherwise. Once you’ve accumulated enough points, you can redeem them for games, accessories and even digital content on PSN. You’ll also be able to redeem them for Sony’s consumer electronics devices. Also, after you make your first purchase with the Playstation credit card, you’ll receive a $50 credit towards content on Playstation Network.